The WildStar site has been updated with a new “interview” with one of the Mechari. In it, some of the lore behind the mechanized race is revealed, as well as the basic personality type they represent. Q: From what I’ve heard about the Dominion, I’d say you guys have done a pretty good job. A: The Dominion has ruled the galaxy for more than 1600 years, and has conquered numerous worlds while doing so. Designating that achievement as “pretty good” is both grossly inaccurate and acutely insulting. For your own well-being, please refrain from doing that again. Q: You got it. Given the fact that you’re a “mechanical being,” I’m assuming you don’t have to eat? A: Incorrect. Again. Like any complex lifeform, we require an energy source for continued function. Consuming food is also a useful tool for manipulation. Seeing Mechari eat gives organics the comforting idea that we are, in some way, like them. A most exploitable illusion. One of the reasons people love MMOs is for the simple fact that they are an escape from the harshness of “real” life. In a terrific guest post, Kimberly Cummins outlines some of the reasons why MMOs have been a great help. Known as “Nifa” here on our forums, see what Kimberly has to say before leaving your thoughts in the comments. Because I cannot drive, I spend much of my time at home by myself, which is one more reason that games, especially MMOs, can be such a lifeline to veterans like me who may not be able to get out and about the way the average person can. I have a great roommate (also a gamer) and good friends, so I’m not a shut in, but my roommate works in the healthcare profession and so a twelve hour shift becoming a fourteen hour shift is not at all unusual for her. With my ample spare time, I hone my skills as a healer/DPS in my game of choice. Due partly to my previously mentioned difficulties with the VA and VA errors that have affected my financial stability (but mostly to the fact that the game is fun and interesting), I’m currently very fond of Funcom’s latest F2P offering, The Secret World, but I’ve probably played just about every game that’s come out since about 2003… and many of my dearest friends are people I met through gaming (including my two closest friends, who live nearby in my city). 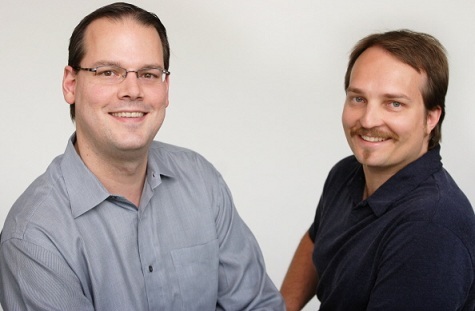 Ray Muzyka and Greg Zeschuk, founders of BioWare and recent retirees, will be honored at next month’s Game Developer’s Choice Awards. The pair will be awarded a Lifetime Achievement award for their long involvement in the gaming industry. 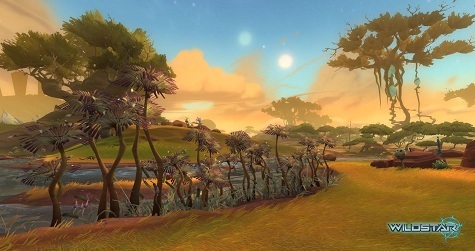 NCSoft and Carbine Studios have announced that WildStar will officially launch into retail service in 2013. To celebrate the announcement, the team is ready to take the lid off of several key features and character backgrounds. Be sure to check out Som’s part 1 preview! Humans: Resourceful, but also headstrong and brash, Human Exiles never back down from a fight, whether itâ€™s in their best interest or not. Granok: These hulking rock people are among the best warriors in the galaxy, and the only group to face off against the Dominion and win. Aurin: Characterized by their animalistic ears and tails, the Aurin are highly spiritual protectors of nature. Eldevin is a game that has evolved over its eight years in development from a small browser-based project into a full fledged MMO. We caught up with Andrew Mulholland and John Stewart to find out more about Eldevin. Check it out and then let us know what you think in the comments. 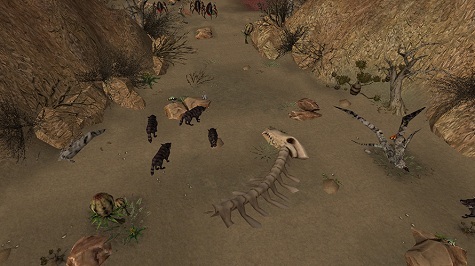 MMORPG: You mention how the world is at war in Eldevin, can you tell us about the factions players can choose from? John Stewart: When players join the world of Eldevin, it is very much a Kingdom in disarray. In recent years the Kingdom of Eldevin discovered 6 magical spheres which, when brought together, caused disaster for the kingdom as the power of their magic could not be contained. Therefore they were each entrusted to the Champions of the Eldevin Army and taken to the far corners of the known world. Over time these orbs have corrupted the Champion, their armies and even the land itself. Creating 6 distinct factions aligned to each sphere; Fire, Ice, Dark, Light, Blood and Nature. You begin your journey in the Nature realm, which is preparing for War with the Dark Realm, while forging an uneasy alliance with the Light Realm. However as you can expect some of the other realms such as the Blood realm may also be trying to gain a foothold in the struggle for power. Vendetta Online developers have released a pair of new videos to shine the spotlight on several game features. 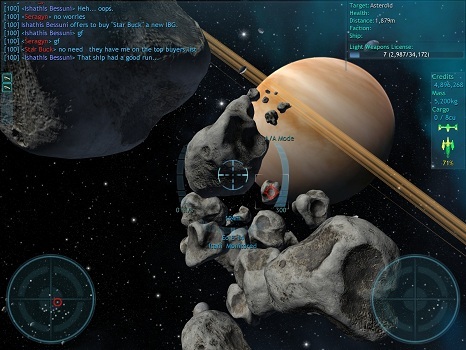 In the first, the team lays out plans to expand the “Dynamic Warfare” feature. The second covers the team’s intention to update the graphic to give players a more immersive experience in game. As promised in my update earlier this week, I’ve made a video discussing some of our plans for future real-time-strategy command of our Dynamic Warfare battles, leading to players commanding armadas of other players and NPCs! I think this is going to be pretty awesome. We’ve had the fundamentals of battlefield control working for some time, only accessible to developers for use in events, and the rank system will let us begin to expose some of these command-and-control game mechanics to our userbase. There’s still a lot of work to do, building the interfaces and tuning command behaviours for NPC units, but the groundwork is all there.